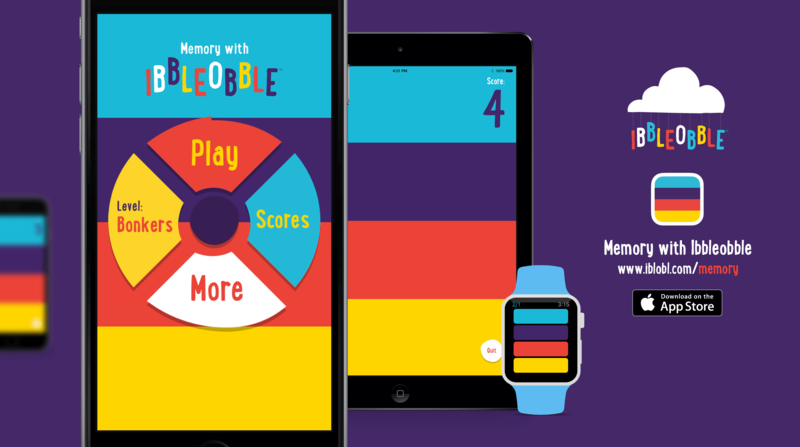 We’ve been very busy since the launch of Ibbleobble, educational children’s apps last year, and we are now excited to announce our new app for all ages… Memory with Ibbleobble. 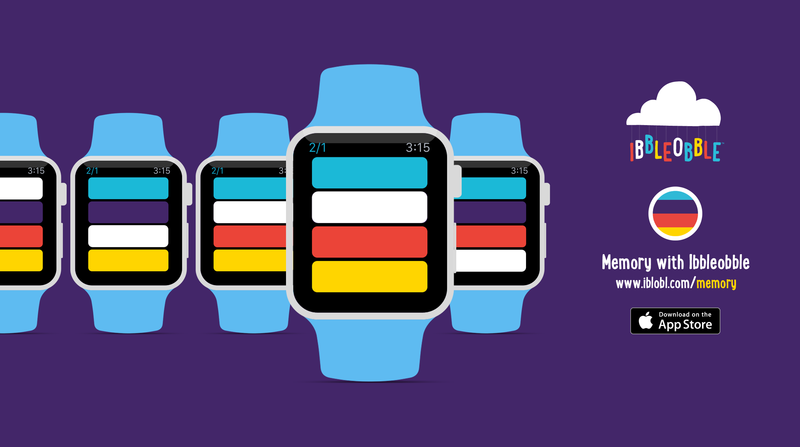 With our new award-winning status, we thought we needed to make something super fun that helps your memory, without you even realising it. And believe us, it’s totally addictive! Memory with Ibbleobble is an entertaining method of helping people to develop their memory skills. 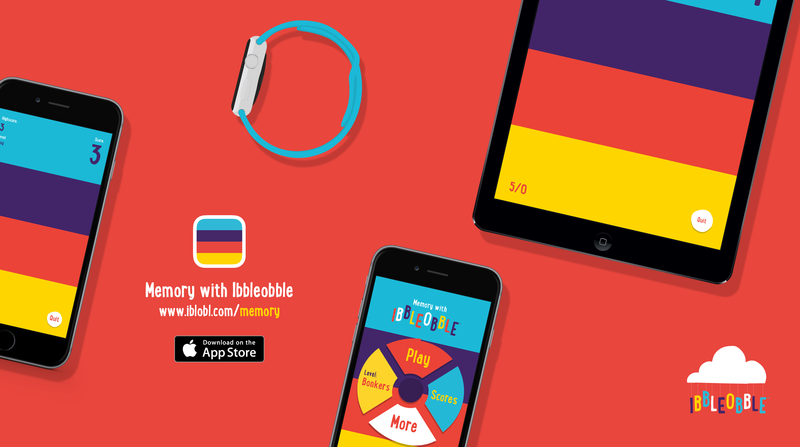 At Ibbleobble, we understand that each brain works differently, so we have made this app unbelievably simple. The friendly, easy-to-use interface is made up of four contrasting coloured blocks which illuminate and play a sequence of sounds. In order to challenge your memory, you must copy the sequences by remembering the sounds and colours in the correct order. 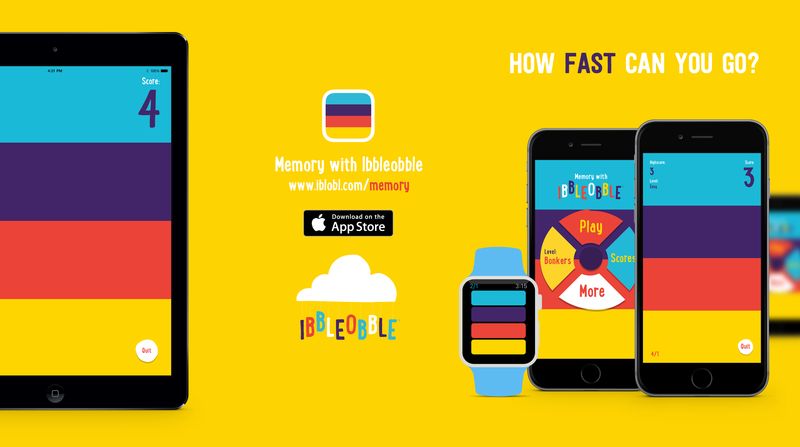 Not only does Memory with Ibbleobble test your recall, it also improves your speed, endurance and concentration. It might seem simple, but one slip of the finger, and the game restarts. At Ibbleobble, we really like to challenge people, so we have divided the app into four levels of speed: Easy, Medium, Hard and Bonkers. How fast can you go? The integration of the Apple Game Centre means you can challenge friends, play more to improve your score, and climb the leader boards. If you want to challenge your powers of recall, and top the leaderboards, then search ‘Memory with Ibbleobble‘ in the App Store!